They say that “Knowledge is Power.” At Analytix, we believe that it is even better to empower. Empower your employees. Empower your managers. Empower your business. Our technology enabled solutions organize data, transform it into meaningful and useful output, and in turn provide that critical information to key team members when it is needed most. Harness the power of our integrated, cross-disciplinary suite of services, technology portals, applications and operational tools to assimilate data and insights that will help to push the boundaries on your company’s growth and profitability. Running a business requires confident, calculated decision making. Business owners understand how imperative it is to the success of the business to remain acutely aware of your company’s current financial and operational status. With Analytix, business owners are supported by a seasoned team of “been there, done that” professionals. We have significant domain experience within our teams that encompasses cross-functional and cross-industry expertise, especially within the SMB market, which is our focus. Our teams also exhibit an entrepreneurial mindset where we recognize the value and importance for a business to remain agile enough to react quickly based on informed decisions. So when you leverage our solutions and services, you can have full confidence in the data, insights and support you receive from a specialized team. For most small to mid-sized companies, the business can ebb and flow based on peak periods and seasonality. Leverage Analytix Solutions’ scalable services to assist your company during peak periods, paying only for the services when you use them. We can work with your existing staff to help with overflow or issues that require temporary domain expertise, or we can operate as a full service department providing your business with the functionality it requires at that time. Our level of scalability allows our clients to take advantage of opportunities to grow and prosper where they otherwise may have been limited by lack of resources. Our business model allows us to deliver high quality services and solutions at affordable rates, especially for small to mid-sized companies. By leveraging automation and technology, we are able to deliver innovative solutions cost effectively. Our US based presence combined with offshore teams in our international offices form the foundation of our ability to provide exceptional client service and develop loyal client relationships. We recognize that for most small to mid-sized companies, any cost savings is a contribution to their bottom line. Our ability to provide high quality, reliable innovative services and solutions translates into a higher value for our clients. Our foresight in automating and integrating systems and processes has led to greater flexibility in the overall solutions we can provide to our clients. This flexibility in our offerings translates into positioning our clients with the agility to react quickly to fluctuating market conditions, confidently addressing changes that ultimately impact profitability. You focus on growing your business. Leave the rest to us. We have solutions for a full range of operational functions including accounting, IT and data management. We can customize a solution to your specific business needs, integrating multiple services, tools and applications in a single platform, managed by a single provider – us. Let us help you streamline your operations and processes for greater efficiency. The post Checklist for Selecting Restaurant Accounting Services appeared first on Analytix Accounting. 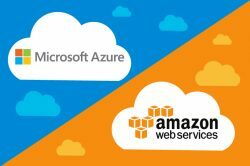 The post Public Cloud Management: Amazon Web Services and Microsoft Azure appeared first on Analytix IT Solutions. Send us an email or submit the form for more information.